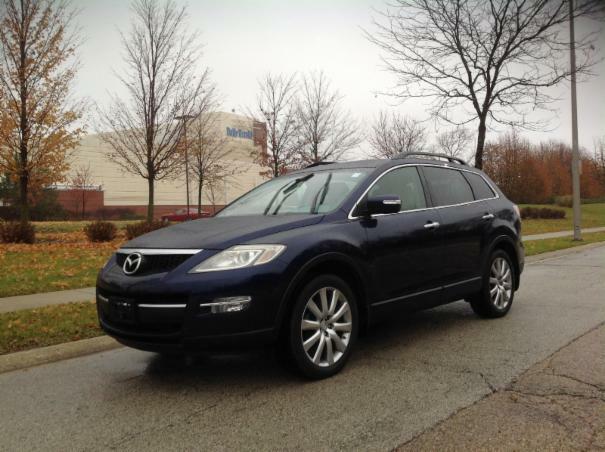 This 2007 Mazda CX-9 is a midsize SUV with a strong V6 engine, beige leather seats, and third row seating. This edition is clean, sharp, and in good working order. This vehicle looks great and is well-equipped. The CX-9 has sharp styling, capable handling, and is a terrific family hauler. Options include voice navigation, DVD player, power seats, windows, mirrors, locks, alloy wheels, Pirelli tires, dual climate control, heated seats, rear spoiler, roof rack, towing, dual exhaust, a Bose premium sound system with AM-FM stereo with satellite radio and CD player.